An iconic streetwear piece updated through the creative lens of the 2 Moncler 1952 line, collection n°2 of the Moncler Genius project. 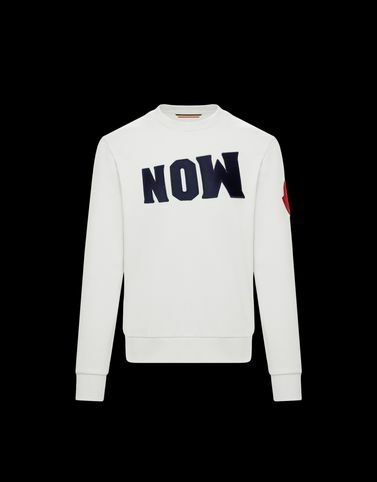 A pure cotton crewneck sweatshirt that reinterprets the NOW MONCLER slogan with the metropolitan Pop style of the ’60s and ’70s while remaining true to the character of the brand. The streetwear must-have to wear everyday with jeans in the city or in the mountains.